But living with less here means something different than living with less elsewhere. 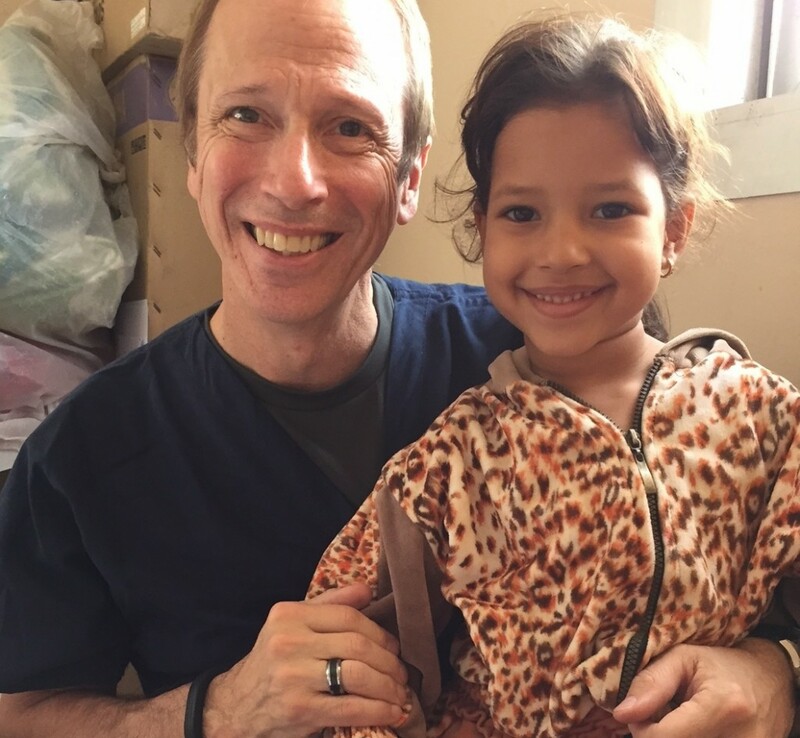 For example, the little girl in this picture wanted nothing more than to sit on my lap and smile, even though war has torn her from her home. She practiced a little broken English, and held on to me, smiling all the while. It’s hard to say what tomorrow will bring for this once large, thriving family, now down to a mother and daughter striving to find food daily. These are people just like you and me who are excited about life because, in the midst of extreme poverty, they know Jesus. And they know Jesus because someone told them. This little girl was typical of the children we saw that day. They were thankful for the food and clothing, shelter and medical care. But more than anything, they were thankful that we came and held their hands. They couldn’t believe that we would come just to visit.